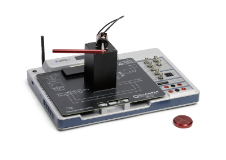 Students complete activities that progress from basics in modeling and control to more complex control strategies like hybrid and digital control. 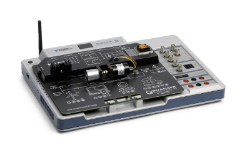 Designed for NI ELVIS III and LabVIEW. Students complete activities that progress from the basics in modeling and control to more complex control strategies like hybrid and digital control. 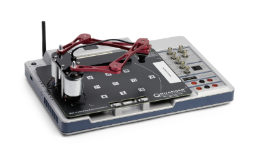 Designed for NI ELVIS III and Simulink®. 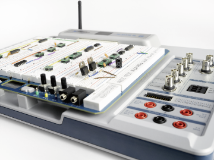 Students interact with a complete mechatronic system from low-level integration, through sub-systems and processes, to the higher-level automation algorithms. Designed for NI ELVIS III. 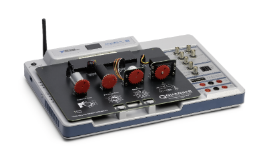 Students complete hands-on activities to investigate the essential functionality and behavior of energy conversion systems from AC-DC, DC-DC, DC-AC, and AC-AC. Designed for NI ELVIS III. 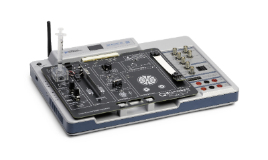 In this lab manual students simulate, build, and analyze circuits to learn about behaviors, characteristics, and applications of common silicon-based components. Designed for use with NI ELVIS III. This Guide introduces students to a widely adopted NI RIO technology. 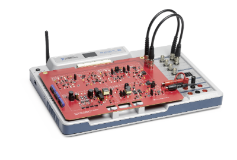 Students will write LabVIEW code to communicate between PC hosts, real-time, and FPGA targets.